Are you embarrassed to smile because of the appearance of your teeth? Do you have a fear of needles—keeps you from restoring a badly, broken tooth? If you answered yes to any of the above, we encourage you to keep reading and learn five reasons why you’ll want to seriously consider choosing Dentistry for the Entire Family as your new dental home. We recognize and understand that most people experience some level of anxiety before going to the dentist. For some, the anxiety interferes with their ability to sleep the night before their appointment. For others, the anxiety slowly escalates days ahead of their appointment. 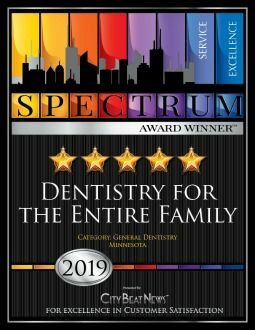 Knowing this, Dentistry for the Entire Family offers a variety of sedation dentistry options to enable you or a loved one to take the first step back to restoring your smile and oral health. We offer nitrous oxide, a relaxing gas, that you breathe during your dental appointment. The effect promotes your body to relax (no more white knuckles) and enables you to complete necessary dental treatment. We also offer an oral sedative option* that provides an even deeper feeling of relaxation while still being awake and able to respond as necessary during treatment. * Requires an adult, licensed driver to bring you to and from your dental appointment. No matter how hong it’s been since your last dental appointment, we promise to not scold, lecture, or judge you (or your loved one) about the condition or about the needs regarding dental treatment. We are a team of compassionate dental professionals whose primary goal is to HELP you restore your smile and your oral health. Our patients say it best. 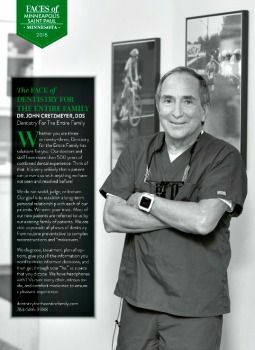 We invite you to read reviews from our family of existing patients, many of whom have been with us for more than four decades. 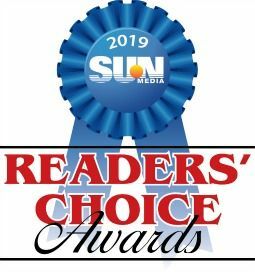 Many patients rave about our show, tell, do approach to dental care as well as our love to use the latest and greatest in dental technology to help diagnose, educate, and complete dental treatment. Patients especially like how our technology enables them to see what we see. Visuals (digital x rays and high HD photos) make it easier for you the patient to better understand what’s going on and make an informed decision regarding dental treatment. Our existing patients love to watch their favorite tv shows like House Hunters on HGTV while having their teeth cleaned. Sports fans can stay up to date and know the score of their favorite team or player. Know if their winning or losing. And the kids, they LOVE to watch their favorite cartoons in stereo with our noise-canceling headphones. Other top favorites are our memory foam support pillows and heated blankets. We know most people are anxious about needles which is why we use the strongest topical anesthetic available to numb the area where needle anesthetic will be administered. As a result, patients oftentimes only feel a teeny-tiny pin like prick as anesthetic is administered nice and slow that helps the anesthetic to take effect quickly. Your comfort is our top-priority. Your dental provider will frequently ask you how you’re doing ensuring that you’re comfortable and answer any questions you may have. State of the art technology is standard of care, not optional (no extra charge) and is used to help diagnose, treat, and monitor changes in your oral health. Technology includes digital x rays (no more pokey cardboard film holders), digital impressions (no more gooey impression material), and high-definition (HD) cameras to take closeup photos of your teeth and tissues, and our sterilization and disinfection protocols meet and/or exceed guidelines set forth by the CDC, Centers for Disease Control. 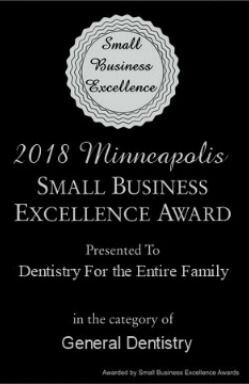 Owner dentist, Dr. John Cretzmeyer and his team has been voted TOP and BEST DENTIST multiple times by readers of Minneapolis St Paul and MN Monthly magazines as well as by newspaper readers of Fridley/Columbia Heights Sun Focus and Citybeat News. Dentistry for the Entire Family has been providing preventive, restorative, therapeutic, and cosmetic dentistry procedures since 1975. 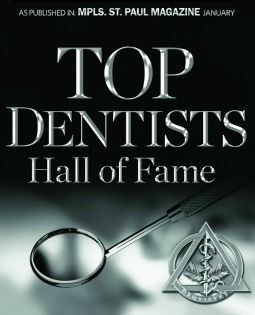 Many of our dental professionals have completed advanced training and certifications within their scope of practice. As a result, most dental procedures can be completed in our office—without the need to see to a specialist. Everyone at Dentistry for the Entire Family believes in giving back to our community. Many of our team members are active volunteers in their community and/or support local and global charities to help improve the life of others. Dentistry for the Entire Family hosts an annual Halloween Sweet Swap where kids and adults can donate and/or trade in their excess Halloween candy for money and dental swag. Candy is donated to multiple charities that support our military troops serving at home and overseas. We’ve also hosted food and clothing drives for local food shelves and have donated to organizations our patients are passionate about including H20 for Life, Operation Christmas Child, Samaritan’s Purse, Mission of Mercy to name a few. 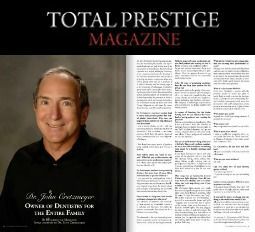 Dentistry for the Entire Family appointment times are convenient for your family’s busy schedule. And for families with children, we have the ability to schedule your entire family in a single trip, either simultaneously, or back to back. Dentistry for the Entire Family accepts most dental insurance plans and will submit your dental insurance claims for payment on your behalf. Payment in full for services rendered are due day of appointment unless financial arrangements have been prearranged. We encourage all new-patients to schedule a comprehensive initial adult exam as their first visit with us. This enables you to meet us and know exactly what your dental needs are, available treatment options, and the cost for each option before scheduling any treatment. Dentistry for the Entire Family offers a variety of payment options including Care Credit (line of credit made available for medical and dental copayments) and cash discounts. We are accepting new-patients and would love to meet you! To schedule an appointment, call (763) 586-9988 or click the green button below to request a new-patient appointment. If you’re not quite ready to schedule and wish to learn more about Dentistry for the Entire Family, who we are and/or more about our services, that’s ok. Listed below are a few links that you may find helpful.